TTN: Government has long known that after the mining boom comes the dining boom. As our resources sector drops, services (like dining, arts and attractions) are flourishing. 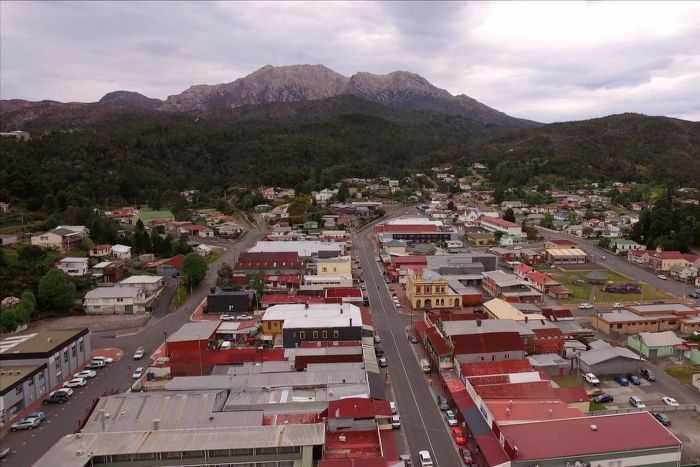 After their town’s 120 year-old mine closed, the optimistic locals of Queenstown Tasmania have embraced the practicality of tourism over mining as their main source of income. With a heritage railway going strong, a Railway Hotel revival and some passionate locals, the townspeople are confident their heritage product will soon be an attraction on par with Port Arthur and Cradle Mountain. Anthony Coulson’s voice leaps from the shadows. “You get used to night shift pretty quick,” he says, his words reverberating into the darkness. The light from Mr Coulson’s white headlamp splashes against the solid rock cavern as he swings around to explain the life of an underground mine worker. 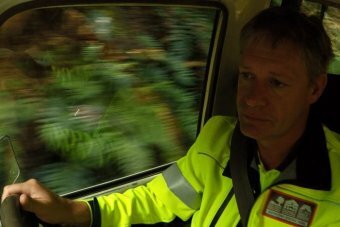 “I enjoyed it, even the shift work,” Mr Coulson told the ABC’s Back Roads program. “Even the 12-hour shifts — I know that’s hard to believe, but I did. Mr Coulson is standing a couple of hundred metres inside an abandoned 1890s mine shaft, hollowed inside of Mount Jukes, near Queenstown. Until five years ago, he was a mine maintenance worker; the third generation in his family to work in the mines. Now, he runs tours of some of the dozens of mines that dot Queenstown’s landscape, giving outsiders a glimpse into the industry that formed the town. The hamlet has been tied to the mining industry its entire life — it sprung up 120 years ago after gold and copper was discovered in the mountains. 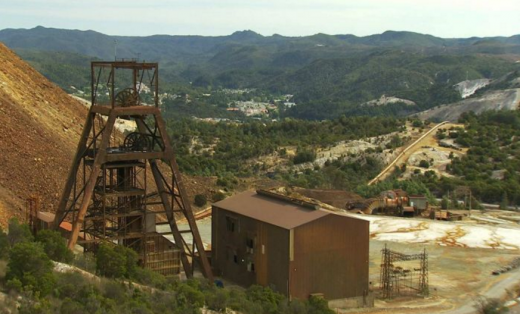 “I got out of the mine … not because I disliked it at all,” Mr Coulson says. “I saw someone doing mine tours before me … and I just thought, gosh that would be a great gig. “I bought the business off him when he retired. Like Mr Coulson, Queenstown too is now looking for a future beyond mining. Two years ago the Mt Lyell copper mine — the town’s lifeblood — was placed into a care and maintenance posture, following three tragic deaths over a six-week period. The deaths and mine’s closure left the close-knit community reeling. Hundreds of workers were laid off. Every street became cluttered with “for sale” signs in the front gardens of once-loved houses. But Queenstown is a tough place and it’s resilient. It’s mining past is peppered with periods of boom and bust. Those who are sticking it out are adamant the town will survive. But they recognise it will need to change. Like most Queenstowners, Mr Coulson is hopeful the mine will reopen soon. “There’s still a hell of a lot of mineralisation in that mountain and I don’t think anyone’s going to walk away from that,” he says. “I mean there’s a 50-million-tonne resource there that might take a bit of head scratching to get it, but one day it will be mined I’m sure. “It won’t be the same as what we’ve seen in history but nothing remains the same. 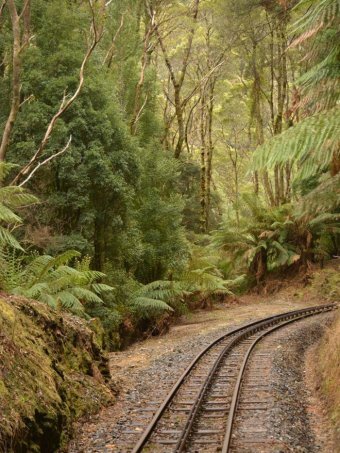 Tourism has huge potential, particularly with the reopening of the West Coast Wilderness Railway which draws visitors and transports them in time along a recreated 1890s passage through the rainforest. The train was once the only way to lug the spoils of the mountains — the copper and gold — out of Queenstown. “That’s given us a central iconic attraction, a bit like Cradle Mountain, Port Arthur if you like or Gordon River,” Mr Coulson explains. For those that have stuck it out and watched their town sputter, a tiny renaissance is creeping through. Late last year, one of the popular local watering holes, the Railway Hotel, was bought by outsiders, Hobart couple Darren and Karen Stewart. “I’m still not sure if they adopted us or we adopted them, but no, it’s just fantastic,” Mr Stewart said. Encircled by bald mountains, Queenstown certainly looks like nowhere else. Mr Coulson hopes the town’s history and its beauty will lure new visitors, and bring some much-needed income with it. He holds one spot above all others — the Bird River on the edge of the world heritage-listed wilderness. “It’s my favourite place on the planet,” he confides. But Queenstown is also pretty special, he adds. Back Roads travels to Queenstown on Tasmania’s west coast tonight at 8pm.